Description: In this fourth volume of the Baylor�Mohr Siebeck Studies in Early Christianity, Michael Wolter provides a detailed, verse-by-verse interpretation of the Third Evangelist. Wolter's commentary fully complements the great tradition of "Handbooks of the New Testament" published by Mohr Siebeck. Replacing the third edition of Erich Klostermann's commentary on Luke, Wolter's volume rightly joins those by Conzelmann (Acts), K�semann (Romans), and Lietzmann (1 Corinthians) in this venerable series. 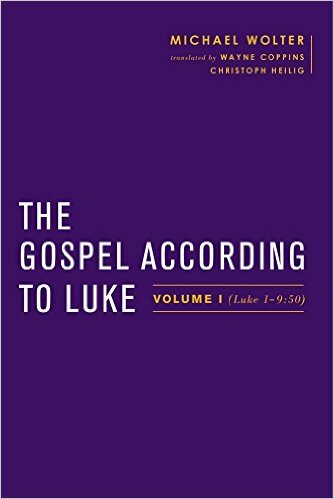 Wolter's approach to a sustained reading of Luke's Gospel is comprehensive. He carefully places Luke's narrative of Jesus in its cultural context, paying close attention to the relationship of the Gospel with its Jewish and Greco-Roman environment. Wolter performs form-critical and narrative analysis of the specific stories; however, Wolter also emphasizes Luke as a theologian and his Gospel as a work of theology. Wolter recognizes how Luke's narrative of Jesus forms the first part of a unified work―the Acts of Apostles being the second―that represents a new moment in Israel's history. But in surprising new ways, Wolter makes clear that it is God alone who works in and through the words and deeds of Jesus to bring salvation to Israel. His commentary shows that Luke succeeds in preserving the history of Jesus and its theological impact and that this history stands on equal footing with the history of early Christianity. Wolter's thorough, careful reading follows Luke as the Evangelist seeks to explain how the fulfillment of the Old Testament promises of God for Israel results in a parting of the ways between the Christian church on the one side and Judaism on the other. Scholars and students alike will benefit from access to new German scholarship now available to English-language audiences. Citation: Kenneth D. Litwak, review of Michael Wolter, The Gospel according to Luke: Volume I (Luke 1�9:50), Review of Biblical Literature [http://www.bookreviews.org] (2019).